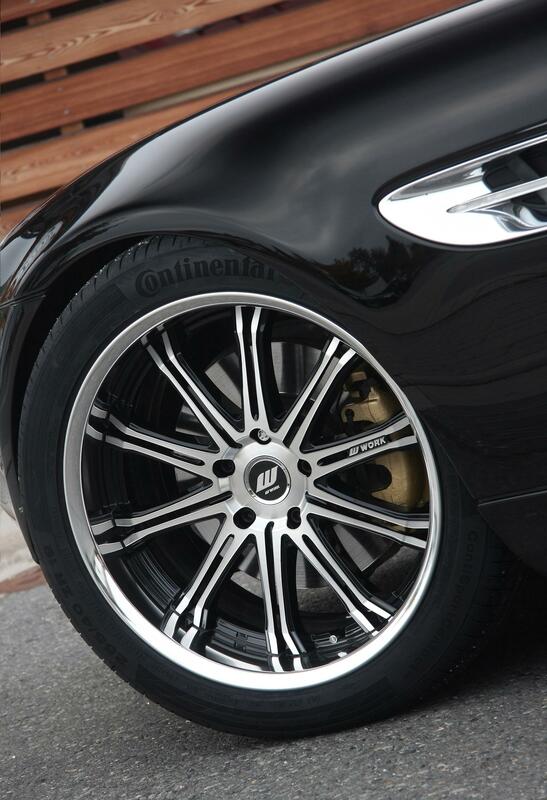 Η Senner Tuning ανακοίνωσε και πακέτο βελτίωσης για την BMW Z8. Έτσι οι 5.703 ιδιοκτήτες της Z8 μπορούν να την δώσουν στην Senner και με €18.900 αυτή να τοποθετήσει νέα εξάτμιση και ελεύθερο φίλτρο αέρα ώστε ο V8 5.0-λίτρων κινητήρας να αποδίδει επιπλέον 50 άλογα, αγγίζοντας τα 450 άλογα με 535 Nm ροπής με τελική ταχύτητα μεγαλύτερη των 300 χλμ/ώρα. Τοποθετεί επίσης ζάντες 19″, χρυσές δαγκάνες των φρένων και coilover ανάρτηση. 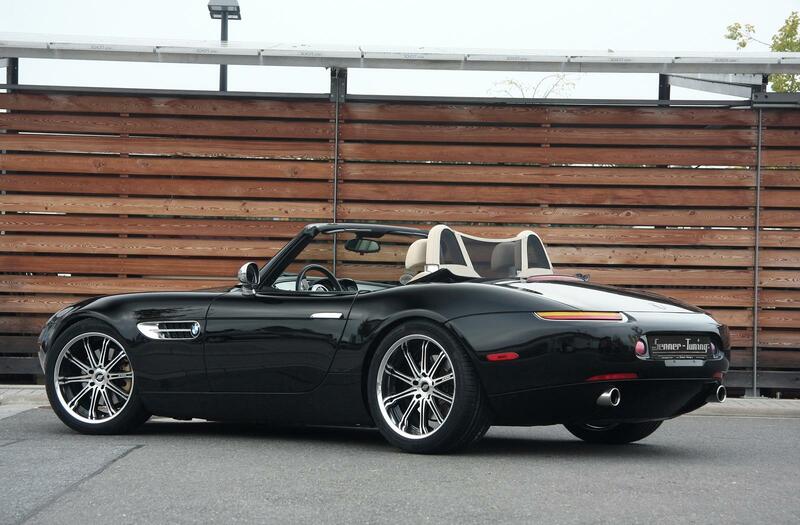 The Z8 model manufactured by BMW between March 2000 and July 2003 is included in the number above. It also includes 555 Alpina version cars (450 of them were equipped with an automatic gearbox and were shipped to the USA). They feature a wider radiator grill and side air intakes which were created by Henrik Fisker – based on the 1955 BMW 507 – and have almost become a rarity, certainly better known to experts as the E52 internal type. 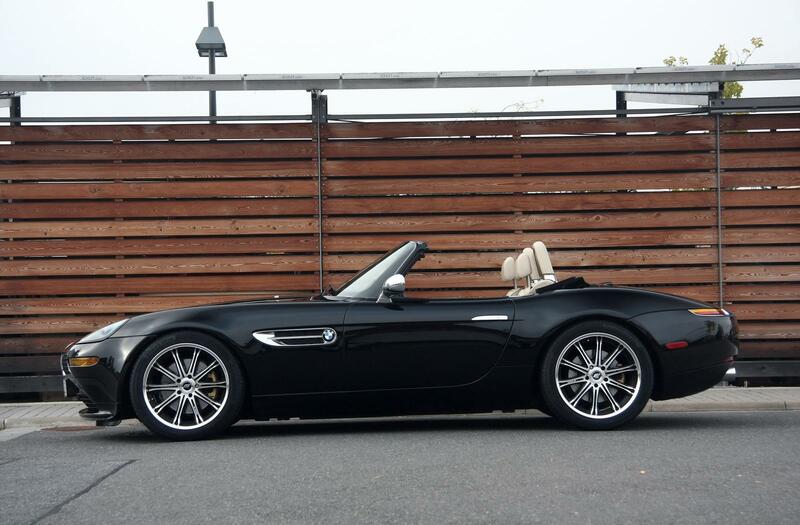 Even the standard roadster featuring a 5.0 liter V8 engine from M5 (E39S) provides impressive 294 kW (= 400 hp) and max. torque of 500 Nm. To overhaul this sports car (this time the car is available for order only in full optional) as delicately as possible and make its overall appearance elegantly understated, Benno Senner of SENNER Tuning AG, Ingelheim, with his crew implemented the best existing concepts. At the very start the engine was supplied with a sports air filter set. Then parameter adjustment followed, including the exhaust system balancing featuring a welded exhaust manifold with a stainless steel silencer and flame tubes designed with metal catalysts. This adds the total of 37 kW (50 hp) and 535 Nm torque. This dramatic increase enables to raise the maximal possible speed to over 300 km/h. 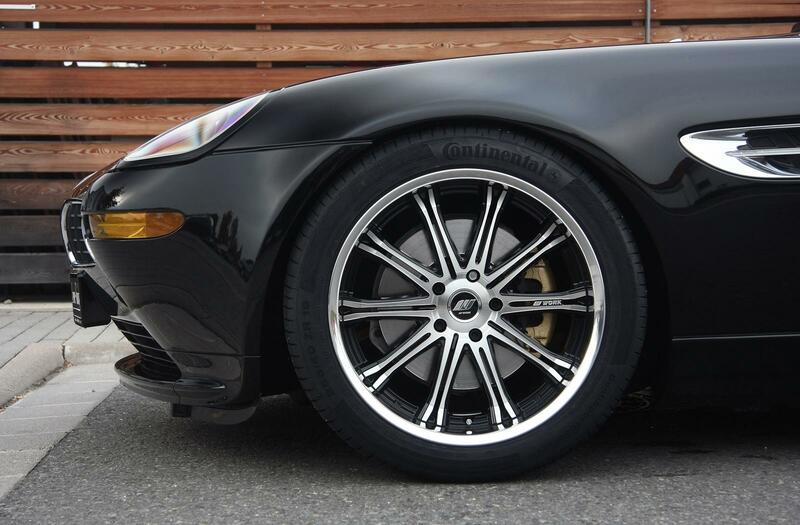 When picking the perfect wheel-tire combination, SENNER Tuning AG chose Work Schwert SC1 wheels in Diamond Black varnish with an anodized 9×19 and 10×19 inch chrome outer rims, and Continental Sport Contact 5P 255/40R19 and 285/35R19 tires. To compensate for the fact that RunFlat tires were mounted on non-emergency run-flat wheels, the tool kit was complemented with a tire-repair set and a compressor. 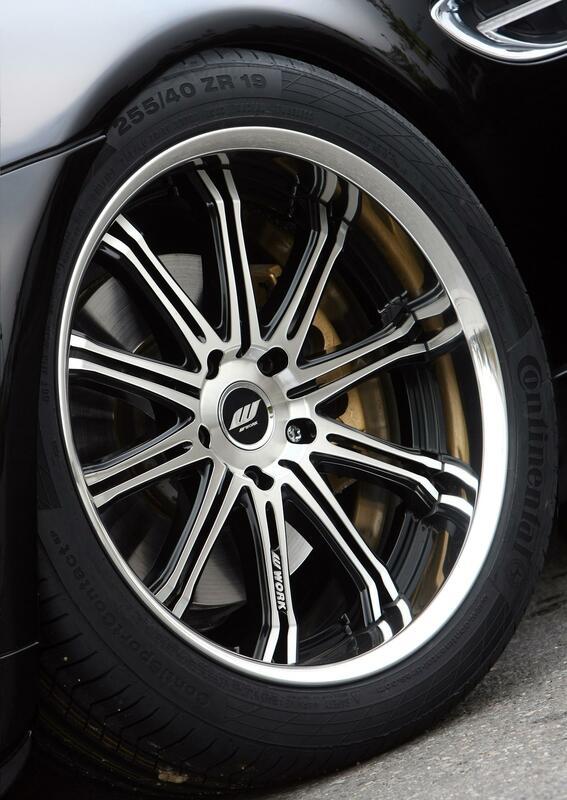 A glance through the wheel provides a view of Racing Gold varnished brake calipers. And a few words on the chassis technology: In addition to the coilover suspension Variant 2 Inox-Line with an adjustable rebound, a strut bar was installed on the reinforced shock mount in the front in order to stabilize the front end. 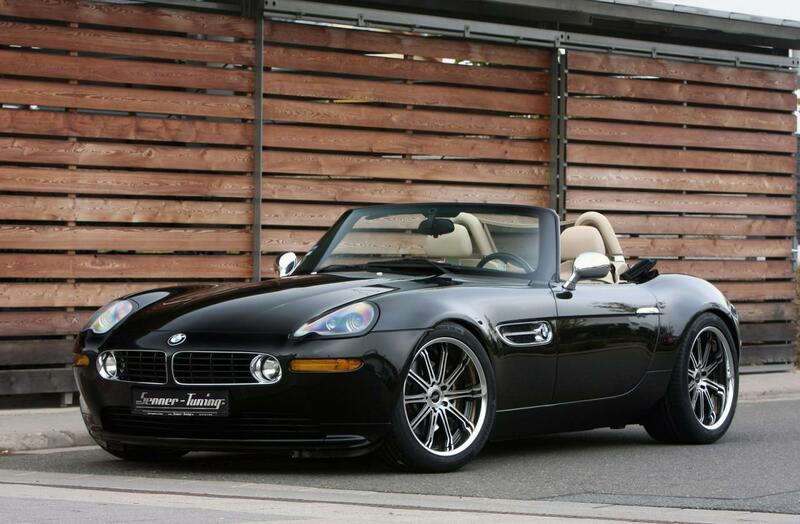 This Ingelheim-performed conversion of the Z8 into an elegant black-colored piece of art costs € 18,900.00, but taking into account the total number of vehicles manufactured it should be seen rather as an additional increase in value.